The Falcons moved up in the 2011 NFL Draft and traded a bunch of picks for Alabama&apos;s Julio Jones. It was a move that was done by the organization to become more "explosive". Julio is definitely an elite talent and his time will come but right now it&apos;s Roddy White that is making the difference with Matt Ryan. In his first four games, White already has two 100 yard games and has hauled in 27 passes (6.75 per game). This is nothing new for Roddy as he and Matt Ryan have been playing pitch and catch like this since Ryan&apos;s first season. White took a jump in his career from 2006 to 2007 going from 30 receptions to 83 and since Ryan&apos;s been on board, White&apos;s numbers have only gotten better. As you can see based on the first four games of 2012, Roddy is having a heck of a season so far and is on pace to set career highs in yards receiving and TDs. One thing that is helping Roddy out this year is Dirk Koeter letting Matt Ryan rip a few deep balls. It also doesn&apos;t hurt that Roddy and Matt seem to have a connection and that they know what the other is thinking on the field. And of course, having Julio on the field tends to draw some defenders away from Roddy. It looks like Roddy White and Matt Ryan could be in for a special season. Atlanta Falcons Quarterback Matt Ryan Not One of the NFL's Top 100 Players? NFL Analysis: Is Falcons Matt Ryan the Next Colts Peyton Manning? NFL Analysis: How Will Dirk Koetter Impact Matt Ryan, Harry Douglas, Jacquizz Rodgers? 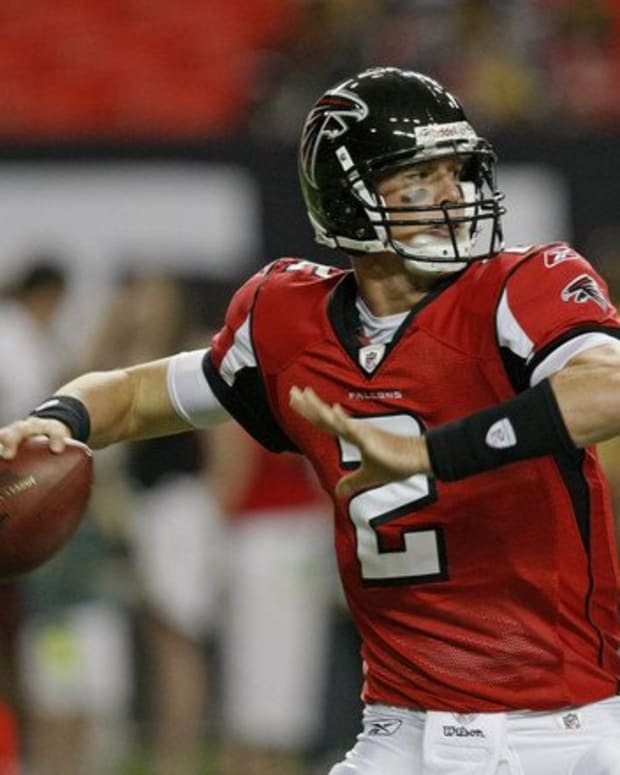 How Far Can Matt Ryan Take the Atlanta Falcons?